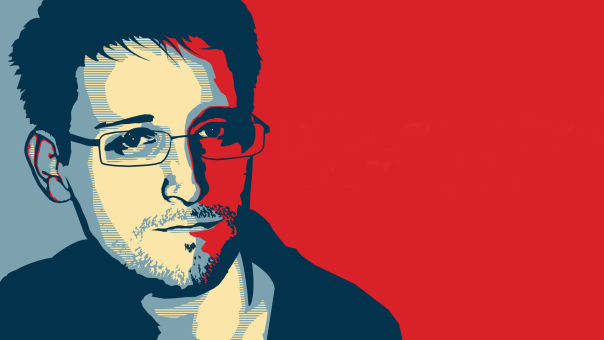 Edward Snowden, The famous Whistle-blower, known for revealing the existence of PRISM, a clandestine program of mass espionage perpetrated by the U.S. government on its own people, was interviewed a few days ago by Ben Wizner for McSweeney’s magazine, The End of Trust (McSweeney’s Issue 54). In it, he spoke about the benefits of crypto money and blockchain technologies proving to be quite enthusiastic about the potential of Bitcoin to change the way society works. “What makes a little piece of green paper worth anything? If you’re not cynical enough to say “men with guns,” which are the reason legal tender is treated different from Monopoly money, you’re talking about scarcity and shared belief in the usefulness of the currency as a store of value or a means of exchange. Let’s step outside of paper currencies, which have no fundamental value, to a more difficult case: why is gold worth so much more than its limited but real practical uses in industry? Because people generally agree it’s worth more than its practical value. That’s really it. Blockchain-based cryptocurrencies like Bitcoin have very limited fundamental value: at most, it’s a token that lets you save data into the blocks of their respective blockchains, forcing everybody participating in that blockchain to keep a copy of it for you. But the scarcity of at least some cryptocurrencies is very real … Competition to “mine” the remaining few involves hundreds of millions of dollars’ worth of equipment and electricity, which economists like to claim are what really “backs” Bitcoin. Regarding the characteristics of the most important consensus mechanisms, Snowden comments that neither PoW nor PoS are perfect. Each has its pros and cons; however, he asserted that both accomplish their mission and provide security to the network despite attacking the problem from different angles. Is Snowden Optimistic About Blockchain?